About for Ishikawa Brewery | [Ishikawa Brewery] You can enjoy historical local sake and beer. Here is a theme park for all sake and beer enthusiasts! There are 6 old buildings which are registered National Heritage Sites. you can relax and appreciate the gentle flow of time as you enjoy our seasonal sake or beer. 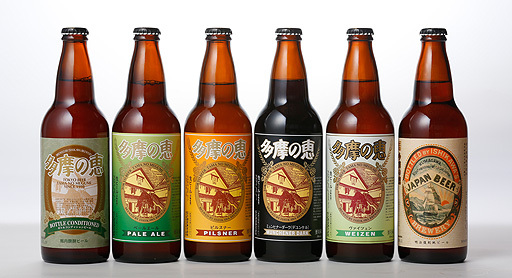 The history of Ishikawa Brewery started on September 1, 1863 (under the old calendar). The original location of the brewery was in Ogawa Village, on the opposite bank of the Tama River. In 1881, Ishikawa Brewery built a new kura (storehouse) in the present Kumagawa area and, in 1883, the whole business finished moving to this location. Ishikawa Brewery earlier used "Yae-zakura" (double-flowered cherry) as a brand name at first after the establishment of the business. This brand name showed the sister-company relationship with Morita Shuzo in Ogawa Village, who brewed "Yae-giku" (double-flowered chrysanthemum). In 1919, the brand was renamed "Yae-ume" (double-flowered plum), and in 1933, the present brand name, "Tamajiman," came to be used. 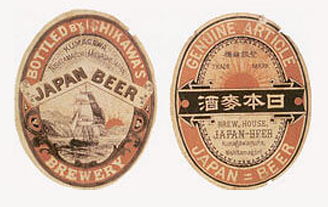 After the Meiji Restoration, beer began to be brewed in the foreigners' colonies in Yokohama and Hokkaido. In the 1880's or 1890's, beer making started in many places in Japan. Ishikawa Brewery (presently Ishikawa Brewery Co., Ltd.) began making beer in February ,1888, and in June of the same year, they started selling their beer to customers in neighboring districts, Tokyo and Yokohama by the designation of "Nihon-Bakushu" ("JAPAN BEER" on the English label). A German-style brewing method was employed, and 54,000 liters of lager beer were made per year. However, because crown caps were not used for bottling and the bottles were easy to break, and because of other negative factors, the brewing equipment was sold in 1890. In 1998, we revived the beer brewery for the first time in 111 years. The revived name is "Tama no Megumi". (tama means this area‘Tama’, megumi means blessing) To brew draft beer, the most important factor is the quality of water. We pump up mineral water from underground on our site. When we brew our beer and our sake, we use this mineral water. From 2015, we released a new line of beer called‘TOKYO BLUES‘. This line is brewed in a traditional way, but we included new tastes. 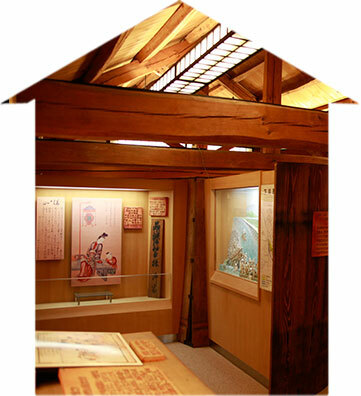 This museum exhibits much material conserving sake brewing in the Edo, Meiji and Showa Periods and the history of the Ishikawa Family and beer making. For example, the beer recipe, bottles, and labels used in 1887 are displayed and the relationship between the people in the local villages and the Tama River is also illustrated.